Today’s photograph comes courtesy of Dr. Piper Klemm. 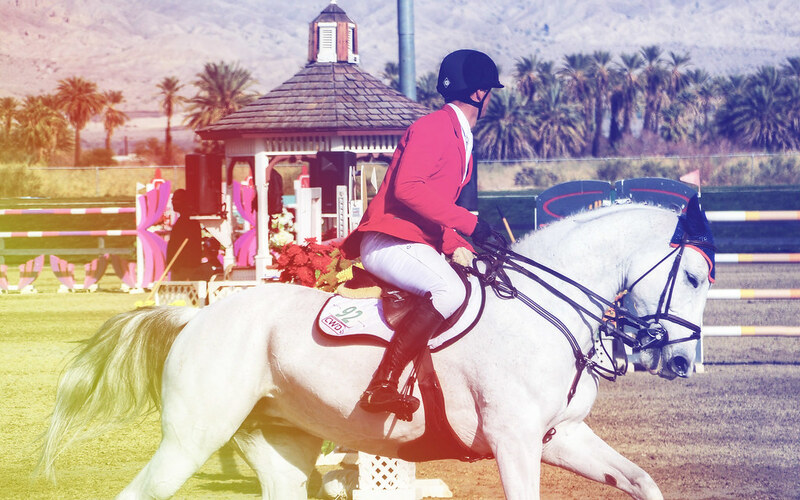 Alexander Bontemps shows Katie Riddle in the $50,000 Go Rentals Grand Prix at the Horse Shows in the Sun (HITS) Thermal Desert circuit near Indio, California. 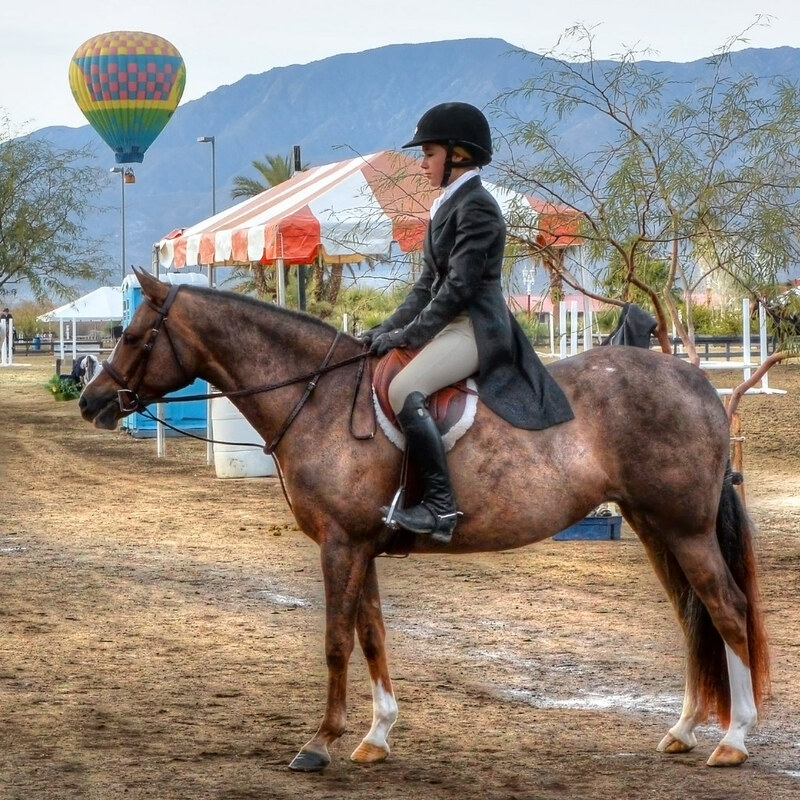 Katie Riddle is a 14 year old, 16.1 h gray mare who has competed at the international level for the United States in numerous competitions, including being a member of a winning Nations Cup team in Buenos Aires in 2010. 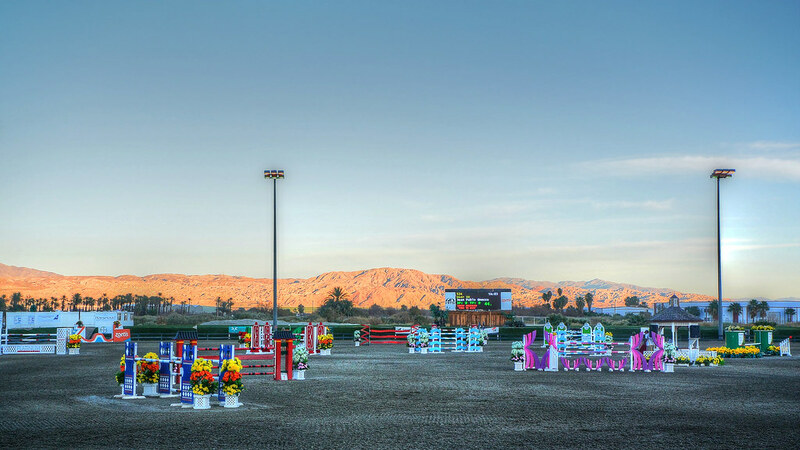 Mid-winter brings the Thermal horse show near Palm Desert, California. The whole scene is alien: the barren hills and the enormous, surreal jumps are watched over by the otherworldly poles of the lights. 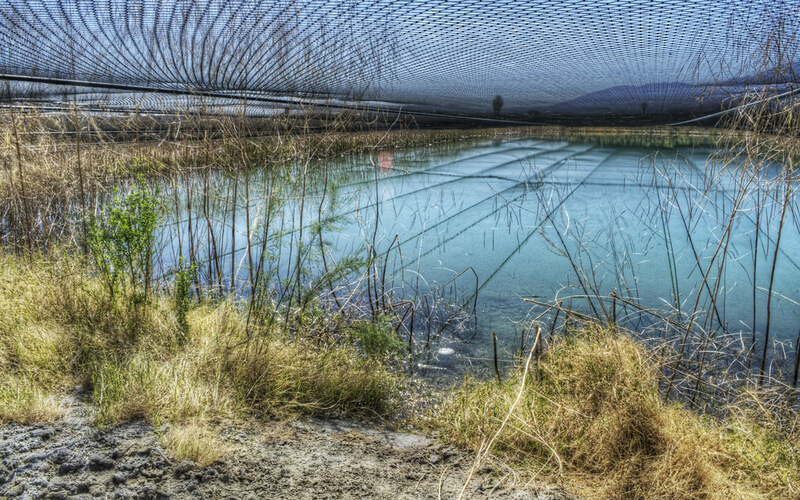 In HDR, the way these metal cylinders distort and section the landscape is fascinatingly exaggerated. 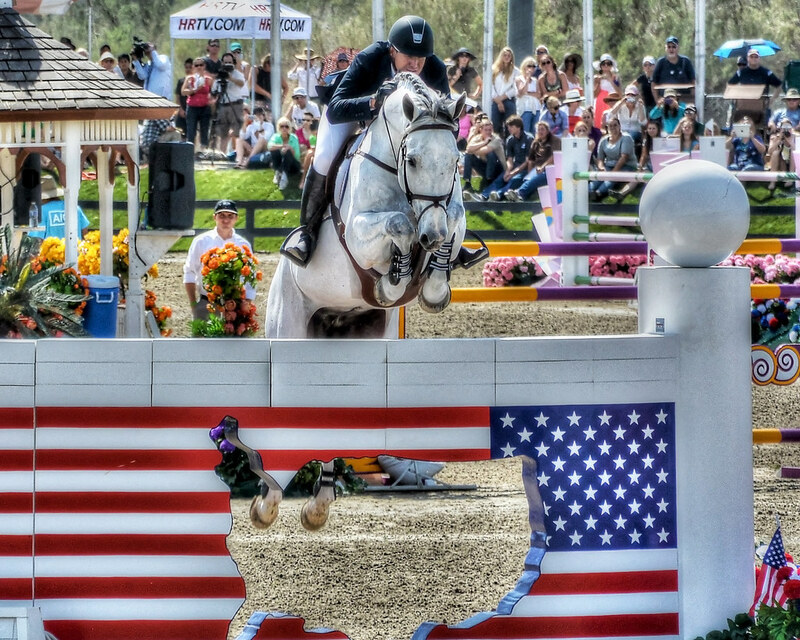 Two-time US Olympic Gold Medalist McLain Ward and Antares F jump in the AIG Million Dollar Grand Prix in Thermal, California on March 17, 2013. Ward and Antares F won the Million Dollar Grand Prix in Saugerties, NY in September 2012. Sunday Special Guest Post: Ponies and Balloons! Decaseconds has seen photographs of the surreal desert landscape of Thermal before, but Piper took this picture that represents the real spirit of the place. Fancy riding clothes, beautiful ponies, and random hot air balloons drifting over the landscape. Just lovely. 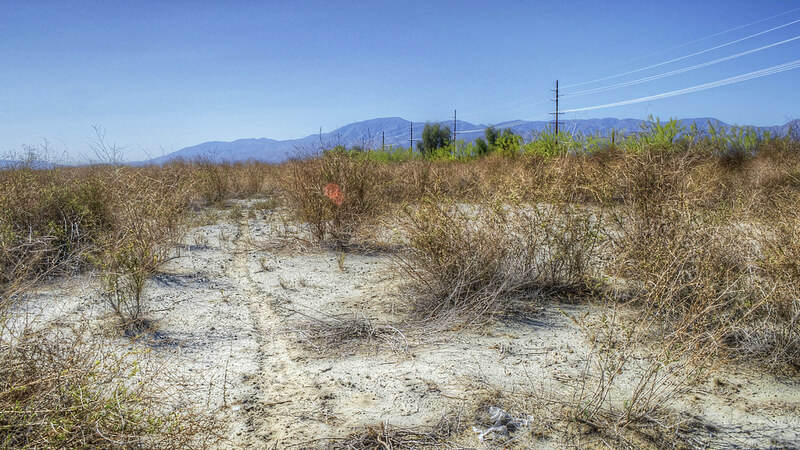 Not far from the notoriously dystopian Salton Sea, the deserts of California are astonishingly alienating places. A few barren mountains etch the horizon, and other than lonely power lines and the path of a motorcycle across the dust, there are few signs of other human beings around. The intensity of the sun made me question the wisdom of being out there at all. When I last visited Palm Desert, I found a variety of very strange things. (Some of which I’ve posted about before.) This particular lagoon stores water to keep the dust in the show rings down. I was just astonished to find it; wandering around in the desert, I saw no indication of its existence. When I saw the gorgeous turquoise of the reservoir, and the way the netting reflected off the water, I felt like I’d found an oasis. I find 1:1 aspect ratio photographs to be some of the coolest, but taking them still challenges me. 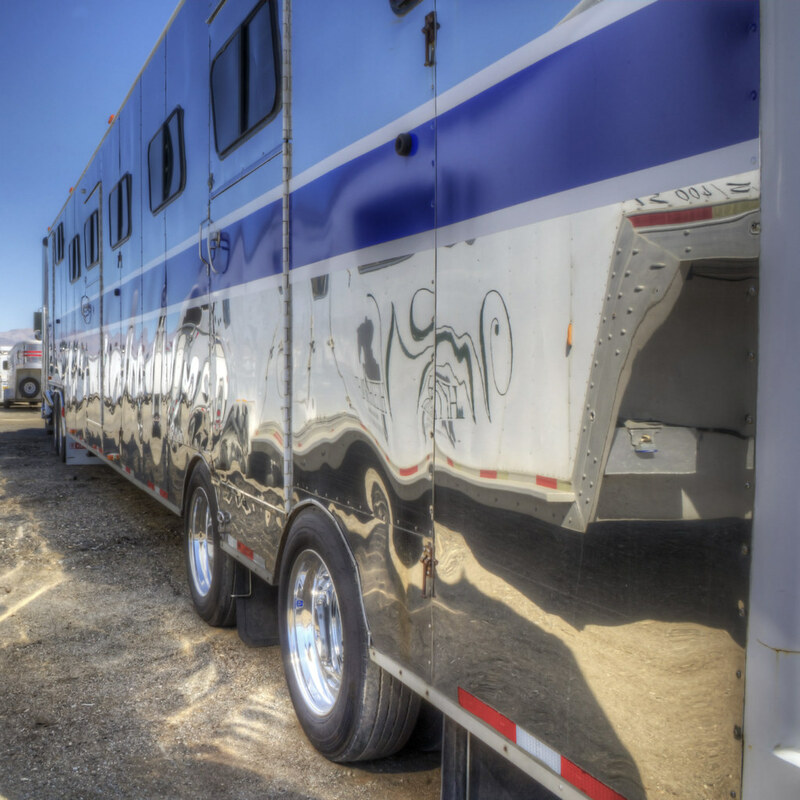 This particular image was taken in Palm Desert at HITS Thermal, and as you might expect, that means that this is the side of a horse trailer. The way the chrome distorts the other trailers and the bright sunlight makes curves on the ground made it worth trying 1:1 here.